You searched for which does not fit your . We've redirected you to 308-368, which has the proper fitment. I bought this cover for my custom HD Heritage standard which I made into a bobber and even with my 18” apes it fits perfectly. The elastic in the bottom of the cover keeps it perfectly snug and it looks great. Awesome deal for the price especially after trying higher priced covers in the past. Also, the staff at J&P Cycles was a huge help in answering my questions about fitment on the phone before I placed my order. 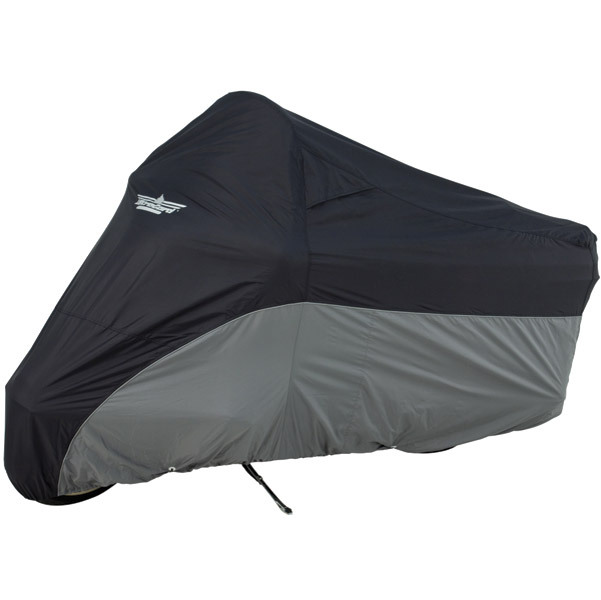 We always recommend that you allow your bike to cool before using a cover unless specifically noted otherwise by cover manufacturer.